El Float builds upon elements of longboards such as the Stewart Hydroglyde and the Walden Magic, with additional thickness to provide a little extra buoyancy, and beveled rails to help you get into waves early. 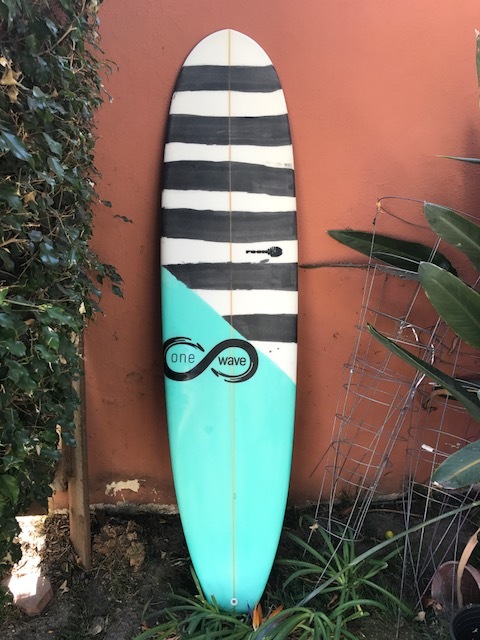 We highly recommend this board for new surfers. 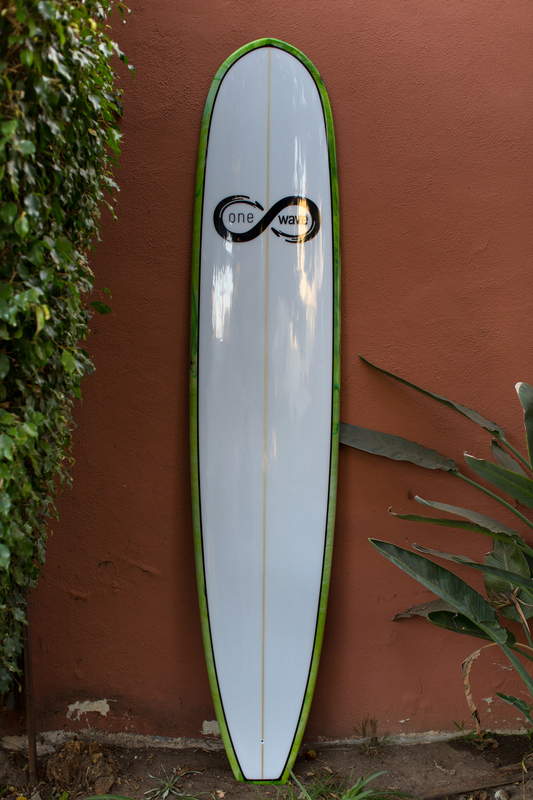 This board is also available in shorter lengths, making it a great Mini-Mal/funboard for bigger surfers. Take Me To Churches follows the design of the Takayama ITP with a more rounded tail for all-around performance as a nose-rider. This board is perfect for stepping up your longboard game in a variety of conditions. This board also performs superbly at Mini-Mal/funboard lengths. Foonboard is similar to the Becker LC-3, designed to be an mid-sized daily driver. 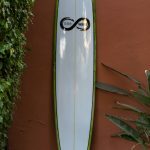 The FOON is perfect for beginners as well as intermediate surfers transitioning to a shorter board. 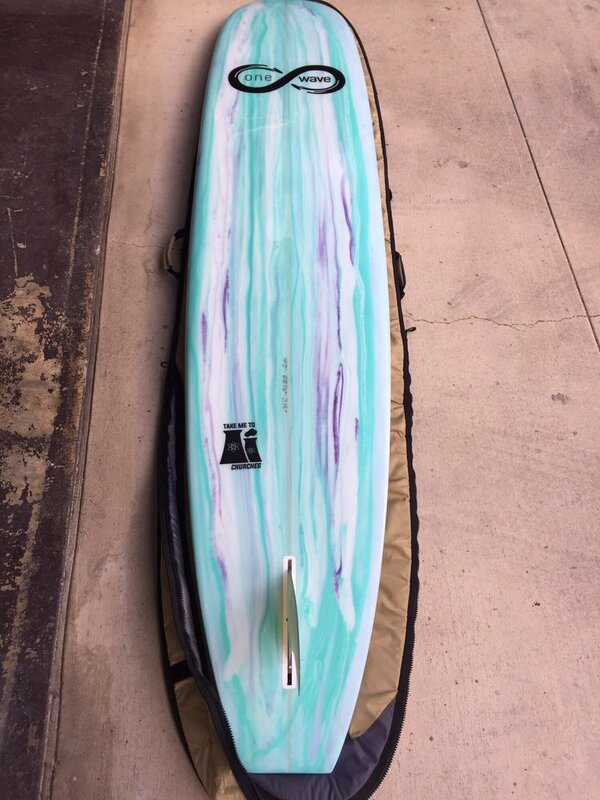 This board works wonders in all conditions, and it especially excels at the beach breaks! 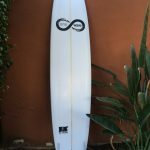 You can buy one of our customized surfboards at a fraction of the cost of a name-brand board (and catch just as many waves). Custom boards are completed in about two weeks. 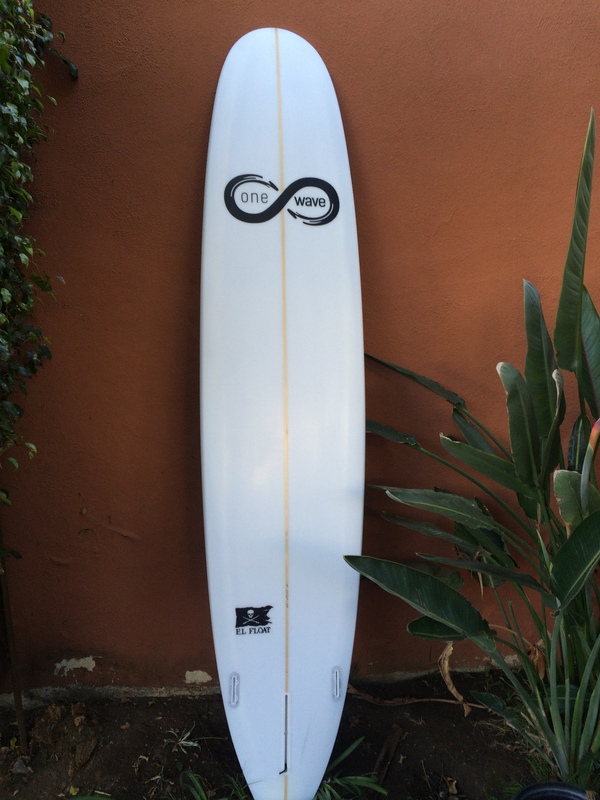 Contact us, and we will be glad to help you pick (or design) a new surfboard that best fits YOU. 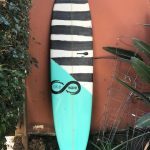 Make sure you check out our selection of used surfboards too.